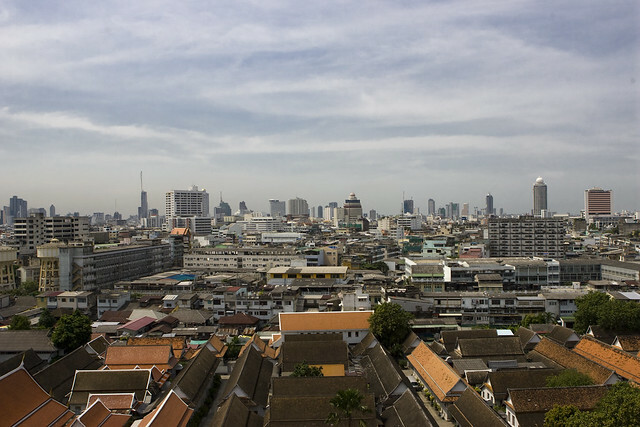 Thailand’s capital is a maze of skyscrapers, traffic, and modernity mixed with bright old world-style temples and markets. 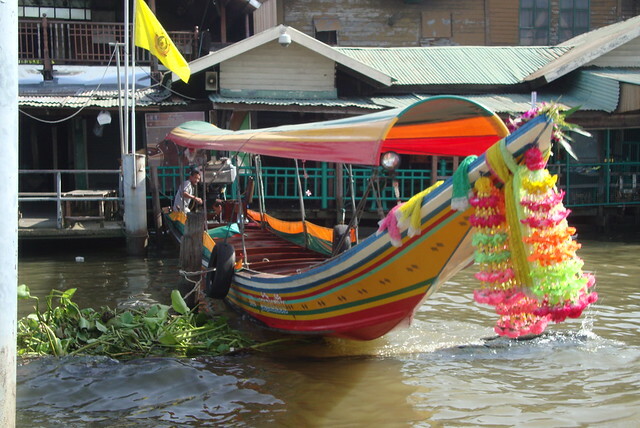 Famous for both Buddhist temples and hedonistic nightlife, Bangkok is a city filled with contradictions just waiting for you to try to sort it out for yourself. Imagine taking a tuk-tuk along an overcrowded street, stopping for a bowl of spicy noodles at a crowded street cart, fighting your way through the multitudes on the sidewalk, and emerging on the river where wooden boats glide quietly over the water as your heartbeat slows and you sit on the banks to soak it all in. 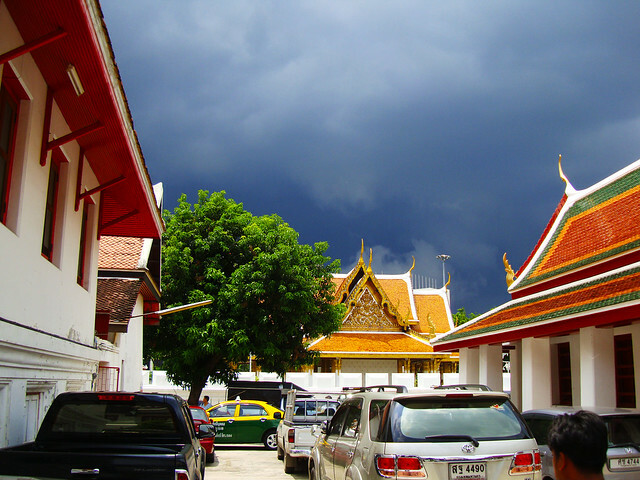 Bangkok’s Old City is a vibrant district filled with temples including the Grand Palace, which is home to Thailand’s most sacred Buddhist temple: Wat Phra Kaew. Make sure to see the beautiful Emerald Buddha there and to take some time to reflect and perhaps meditate. The National Museum allows visitors to delve into any era of Thai history and pre-history they wish. Grab a map and decide what interests you most. Ivory carvings? Buddha statues? Prehistoric artifacts? The personal affects of princesses? You’ll find them all and more at the National Museum. The Museum of Siam is a new, mostly hands-on museum on Thai culture through the ages. Spend time learning about Buddhism, the traditional agricultural life that still beats in the heart of rural Thailand, learning about Thailand today, and even glimpsing what Thailand might be like in the future. 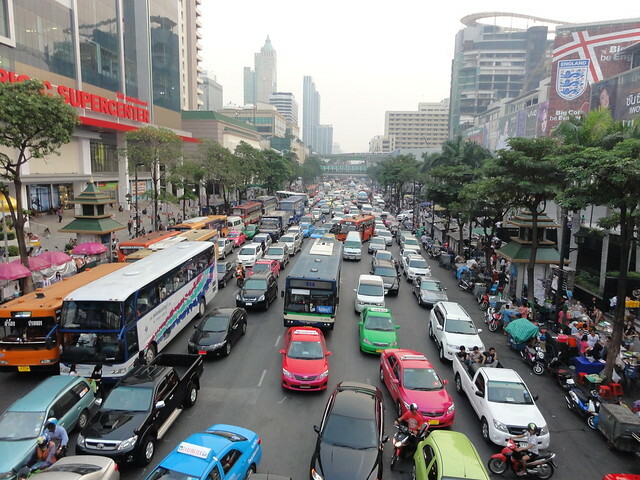 Street vendors compete for space on busy Bangkok roads selling everything from chicken satay on a stick to deep fried water beetles. Many carts sell Pad Thai, the national noodle dish defined by peanut sauce and usually including chicken or shrimp, fish sauce, egg, and chili peppers. Bangkok is also filled with traditional restaurants serving Thai food from every region of Thailand and international cuisine from many countries. Isaan food is from northern Thailand and is characterized by being very spicy (not for the faint of palate). A southern Thai favorite is massaman curry, which is a blend of coconut milk, nuts, curry paste, potatoes, usually one meat (often beef) and seasoned with warm spices like cinnamon and star anise. Among international ethnic restaurants, other Asian nations are well represented. Sushi and Chinese hot pot restaurants are popular and plentiful. There are new restaurants opening up all the time serving food from every continent, blending cuisines, and creating modern versions of Thai favorites. Do some research, ask around for recommendations, or just wander into someplace that smells good for a culinary adventure.